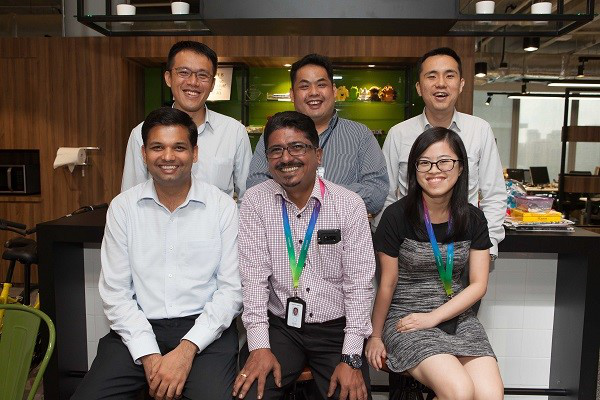 You might not know this, but a team of geospatial specialists in GovTech is changing the geospatial technology landscape of Singapore – one impactful project at a time. Led by lead geospatial specialist Anupam Mukherjee, the team of 10 is spread out among various Ministries and statutory boards, helping them get more involved with geospatial technology. Only three – Anupam included – are stationed at GovTech’s HIVE office. Nevertheless, Anupam’s teammates never let their size deter them because they see the benefits which their work brings. Geospatial analytics helps give deeper evidence-based insights at both macro and micro levels, and that in turn helps in better policy decisions and efficient operations, explains Anupam. Team members are attached to various Government agencies, lending their geospatial expertise through map-based projects such as the One Service system and intranet-based platform Geospace. An example is a recently completed project for the Ministry of National Development. The team helped to geotag the home locations of persons with disabilities and calculated the distance they had to travel to reach centres that provide facilities or activities for them. Using the data, they also gave suggestions on where new centres should be located, points out Anupam. Another project is the OneService (OS@SG) system by the Municipal Services Office (MSO). This project was one which Anupam is particularly proud of, because it involved “a sophisticated integration of heterogeneous technologies”. The OS@SG system had to be able to do precise geo-routing of public feedback to various agencies’ systems – that is, when public feedback has been logged at a location, the agency in charge is immediately detected using a sophisticated set of location-based rules and the feedback is directed to a staff within seconds. “They can no longer deny it’s not within their jurisdiction – there’s no ambiguity there anymore!” laughs Anupam. Anupam is also very proud of GeoSpace, an intranet map-based platform that allows government agencies to share geospatial data such as building outlines, roads, and locations of lampposts and bus stops. They are currently developing big-data analytics capabilities in GeoSpace to make available real-time data such as current temperature, rainfall and traffic conditions. Geospace now shares more than 1,100 map data sets today, up from some 200 data sets previously. These shared maps are used by over 70 public agencies in their day-to-day work, cutting down the time taken to raise requests for data, improving productivity and raising data analytic capability within the government. Many of these useful map data is also shared on OneMap and Data.gov.sg. Besides working on Ministries’ and statutory boards’ projects, the team also comes up with innovative ideas and takes them to fruition on their own accord. Geoexcel is one of them. Two years ago, the geospatial team observed that many government offices did not have a mapping tool, as they are expensive and not easy to learn. The team decided to build a small plugin, Geoexcel, which lets agencies convert their Excel worksheet into map points that can then be visualised onto a map. All they need are basic columns such as postal codes or longitude and latitude coordinates, along with age, gender and more. The geospatial team took the initiative to build Geoexcel for agencies to geotag their Excel information. The simple plugin gained traction quickly and have garnered “a few thousand” downloads to date. The plugin is nothing fancy, but that was the team’s intention. “We developed it for people who have never used GIS before and who have no knowledge of geospatial technology,” points out Anupam. There was no dedicated headcount for it or much funding. “We did it as an extra-curricular activity,” he says with a laugh. The tool grew so popular that at one time, they received 80 to 90 installation requests. To date, there are 35 agencies using the tool with “a few thousand” downloads so far, says Anupam. Quite a feat, considering the plugin was not initially on the cards. Moving ahead, Anupam and his team feel their role will only get increasingly important. “Today, over 70 per cent of whatever data we generate has a geospatial component in it and the exploitation of such data for sense-making is increasingly important,” said Abhishek Tandon, a senior geospatial specialist and deputy director of IT in NParks. The emphasis on geospatial technology actually began way back in 2010, when the team started SG-SPACE, a geospatial collaborative environment that kick-started then-IDA’s role (in partnership with SLA) in helping Ministries and statutory boards conduct pilots and programmes to promote the adoption of geospatial technologies within the government. A recent Geospatial Readiness Index conducted by Geospatial Media had benchmarked 74 countries geospatial efforts. 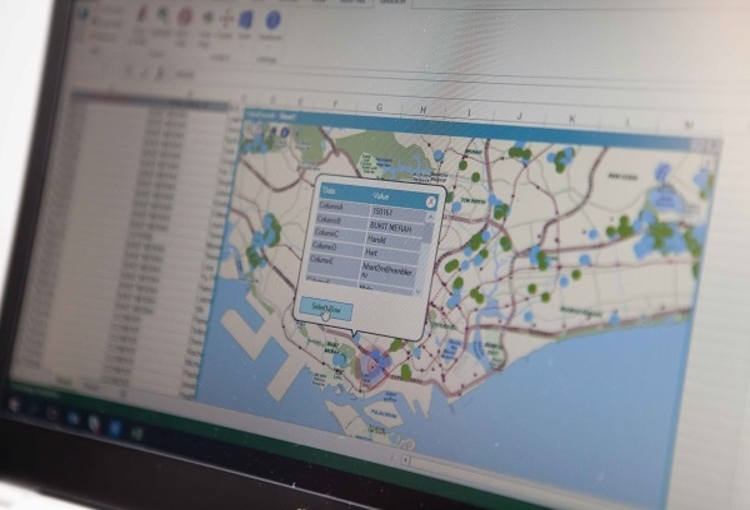 Singapore nabbed the fourth spot in terms of adoption of geospatial technologies within the Government, ahead of countries such as Switzerland and Australia. “That was a quantum leap for us, and we feel very excited that our efforts have worked out,” said Anupam. The team is also working on a photo-realistic, semantically enriched and high accuracy 3D model of Singapore under the iconic “Virtual Singapore” project. The 3D Virtual Singapore is likely to be ready in 2019 and will usher the next wave of more sophisticated geospatial applications such 3D Walkability, Urban Heat, Noise, Air propagation modelling, and Greenery Management. The Virtual Singapore will contribute towards better living for citizens in our dense urban environment.